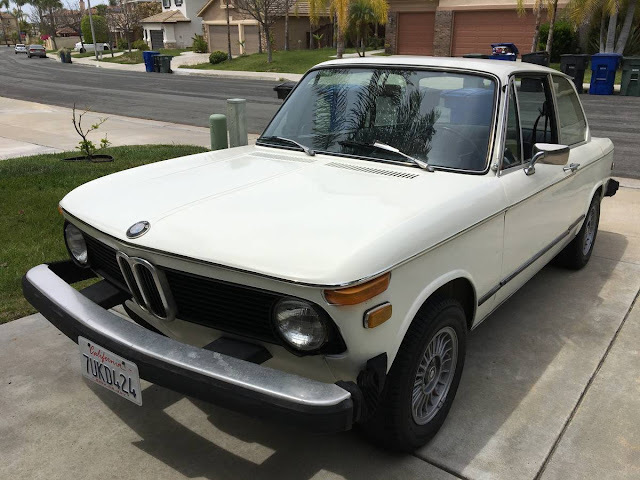 The BMW 2002 shouldn't need much of an introduction to any car guy (or gal), but if you've been living under a rock -- let me explain. German styling, good reliability, good handling, rugged 4-cylinder engine, daily driveable classic...all for a decent price. Caught up? Great. 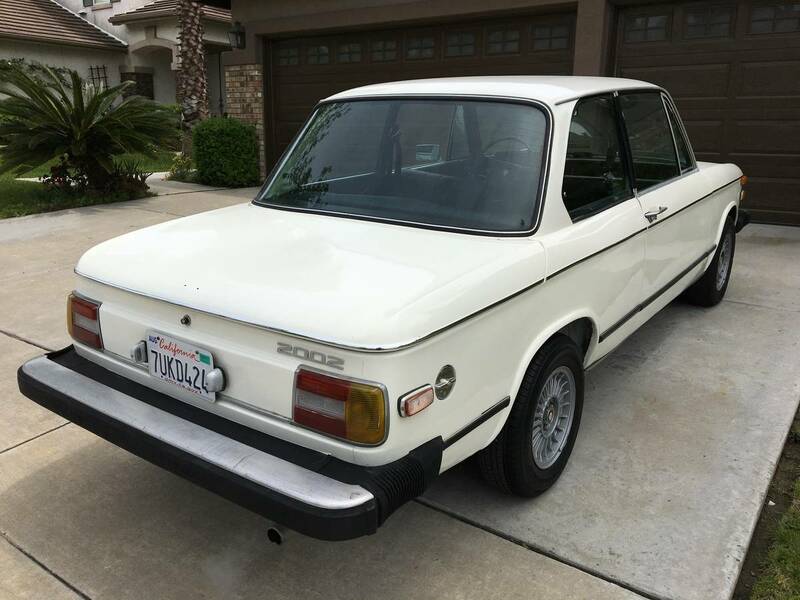 Now go buy this 1974 BMW 2002 offered for $6,500 in Escondido, CA via craigslist. Tip from Rock On! This is a rare opportunity to purchase this near perfect 1974 BMW 2002 at a great deal. If your dream is to own a true classic 42 year old vehicle that still turns head, then don't miss out this great beauty. Drive the ultimate driving machine that is restored to its near original conditions with some minor TLC needed that I didn't do due to lack of time and the order of my other 1/2. This vehicle is currently located in Escondido, California, about 10 minutes North of downtown San Diego and can be viewed Monday through Saturday between 9:00 am to 5:00 pm daily at the mechanic shop that has been performing all my services. I have invested more than I should on this little gem, but I need to make take the order of the other 1/2 to stop this project and move on to things that are more important to her and here is the reason you can gain on my loss. So, if you are looking for a beautiful car that you can enjoy and be proud to own, make sure you don't miss this opportunity. Please feel free to contact me with any questions you may have and we will be glad to answer it for you. Best way to contact us is to call or text to show contact info and ask for Pj, my YOUNGER BROTHER ( He hates it as he looks older than me, LOL ) or show contact info and I will be glad to answer your questions. - I have listed this car locally and on ebay and will work with all buyers in or out of states and can help with shipping anywhere or locally. - The car has new headliner, new upholstery and brand new carpet kit. - I have done a major engine tune up at the shop in Escondido, California where it's currently been stored. - It has new coolant hoses, radiator fan, thermostat, new battery and new starter. - Brand new break all around and has a new heater motor and fan. - New bushings on steerring column and new fuel filter and fuel pump and here are other things that need to be done. - Doors need adjustment to close properly. - Odometer cable broke shortly after I bought the car with exactly 100307 miles on it. - Transmission shifts smootley, and no grindings or noises. - There is NOT absolutely any oil leaks of any kind. - Car originally was sold in Arizona back in 1974 so there is no rust like the ones come from East Coast and currently it's registered to my name with a clean California title. - The vehicle has very little rust where spare tire is and it was due to a damaged trunk gasket which has been replaced with the origianl BMW part and therfore no more leaks into the trunk. - I am paypal verified and will be considering listing on ebay for a wider exposure to potential out of state buyers. - This is an AS-IS sale and there is no warranty of any kind, therefore I would highly recommend inspecting it prior your purchase. shifts smootley"? brand new "break" all around? there is no rust, but then there is rust? and the freakishly old "younger brother" in all caps? quite the ad. Picnic on the front, take nap on the rear bumper. Good God they are huge. Thanks the DOT for those bumpers.. and the BMW engineers who said, " Oh yeah?! Here's your frikking 5mph bumpers! You design killing a-holes!! enjoy! " Only in America can you be semi-literate AND own a '74 BMW. Make America Great Agaiin!